Seven years after the crash, why is the American public still on the hook for three out of every four new mortgages? The collapse of the housing finance system played a pivotal role in the 2008 financial crisis and the Great Recession. Seven years later, fundamental problems with the system—especially the roles of Fannie Mae andFreddie Mac —remain unreformed. If today’s presidential candidates want to engage in a policy debate that affects the lives of nearly all Americans, this is it. Fannie and Freddie purchase mortgages, bundle them into pools, and issue mortgage-backed securities to investors. Securitization allows investors to provide funds for families to buy houses, and those families’ monthly mortgage payments repay investors. If a borrower defaults, Fannie and Freddie guarantee investors repayment of their principal. Before the crisis, Fannie and Freddie shareholders backed that guarantee. As losses overwhelmed shareholders’ equity in 2008, these “government-sponsored enterprises” were placed into federal conservatorships and taxpayers have since injected $188 billion into the companies to backstop their guarantees. Seven years later the conservatorships remain and the companies’ guarantees exceed the level when the conservatorships started. Several comprehensive legislative proposals to replace Fannie and Freddie and revisit overall housing policy have been made. But nothing has happened. So taxpayers guarantee repayment to investors on roughly three out of every four new mortgages today. First, taxpayers shouldn’t be left holding the bag for mortgage defaults. Instead, private capital needs to be brought back into this system. In 2013 the Federal Housing Finance Agency (FHFA) began the process of shifting mortgage credit risk from taxpayers to private markets. 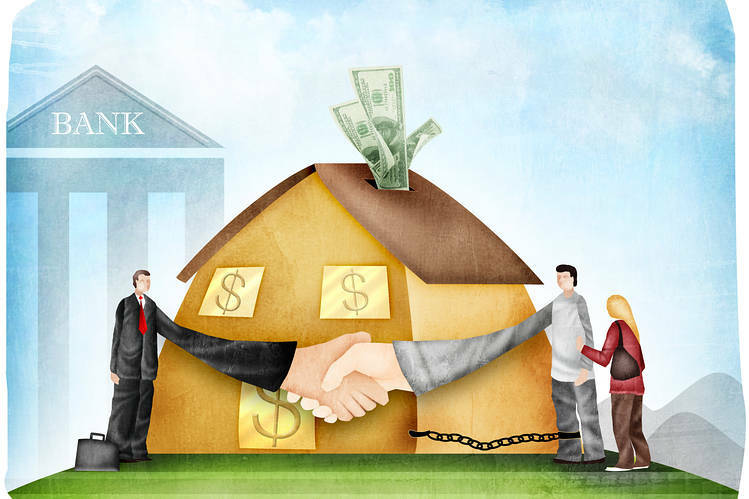 The agency directed Fannie and Freddie to sell some portion of the mortgage credit risk they assume when they issue mortgage-backed securities. These transactions disperse mortgage credit risk among a broad array of investors who knowingly and willingly take on this risk and its rewards. This builds liquidity in the market and reduces systemic and taxpayer risk. Market demand for these deals has been strong and new approaches to selling credit risk keep emerging, thereby broadening the range of market participants. Congress should pass legislation making sure that within four years all securitizations involve enough risk transfer so that taxpayers are left with credit risk only in catastrophic circumstances. Lawmakers can then decide whether to stop there, as in some current legislative proposals, or move the remaining risk away from taxpayers. Second, housing-finance reforms being developed under the FHFA’s direction should accommodate firms beyond Fannie and Freddie. One reason for the conservatorships in 2008 was that the country lacked a viable secondary market without them. The common securitization platform introduced by FHFA in 2012 will fix that by creating the operational infrastructure for other firms to issue mortgage-backed securities equivalent to Fannie and Freddie’s. That will enable Congress to end the conservatorships and replace the Fannie-Freddie model. This platform is not unprecedented. Ginnie Mae, a government corporation that securitizes mortgages guaranteed by the Federal Housing Administration and Veterans Administration, is an existing, successful model of a multi-issuer, single-security framework using a common securitization platform. These two steps aren’t controversial. Every major legislative proposal in the past few years, Democratic and Republican, included them. What is needed is leadership, if not from the White House then from Congress. Congress should also act now to avoid increasing taxpayers’ costs and risk. That means, to begin with, the recent sixfold increase in CEO pay at Fannie and Freddie should be reversed. Being CEO of a company in government conservatorship isn’t the same as running an independent financial institution, and CEO pay should reflect that. Even more important, the limits that govern the size of a loan eligible for a Fannie or Freddie guarantee must not be raised. In trying to move credit risk away from taxpayers, it is folly to allow increases in loan limits. In most of the country, mortgages up to $417,000 are eligible for taxpayer backing through Fannie and Freddie. In high-cost areas, it goes up to $625,000. Lowering these limits is the best course, but at a minimum taxpayer guarantees should not be expanded at the upper end of the market as house prices recover. Apart from Fannie and Freddie, national housing policy needs fresh thinking. Here are two questions that could get us started: Numerous federal housing policies such as the mortgage interest deduction and federal mortgage insurance programs subsidize borrowing (and drive up house prices). How can we encourage homeowners to build equity rather than subsidize them to carry more debt? Government spends billions a year, including tax expenditures, on housing, much of which subsidizes higher-income homeowners. How could we eliminate some of this spending while redirecting another portion of it to the truly disadvantaged? Now that’s a discussion worthy of a presidential debate. Mr. DeMarco is a senior fellow at the Milken Institute’s Center for Financial Markets. He served as acting director of the Federal Housing Finance Agency and the conservator for Fannie Mae and Freddie Mac (2009-14).